Thinking of purchasing your dream Holiday Home? Good news, our Black Friday deals have landed! Save up to £1000 off a Holiday Home at all our Holiday Parks, call into the Sales Office to find your dream Holiday Home at an unbeatable price! We are offering fantastic discounts across all Holiday Homes to both new and current customers. We are also offering 10% off all static Holiday bookings made this weekend from Friday 23rd – Sunday 25th November made via our booking department on 01253 879911. 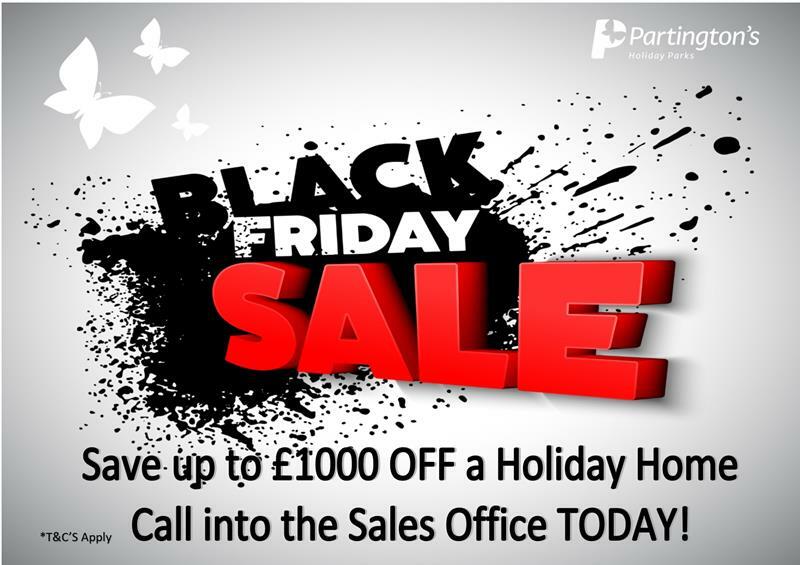 Offers are valid over Black Friday weekend From Friday 23rd – Sunday 25th November.